Jim Brown, Dennis Rodman and O.J. Simpson are all former professional athletes who've tried their hand at acting. 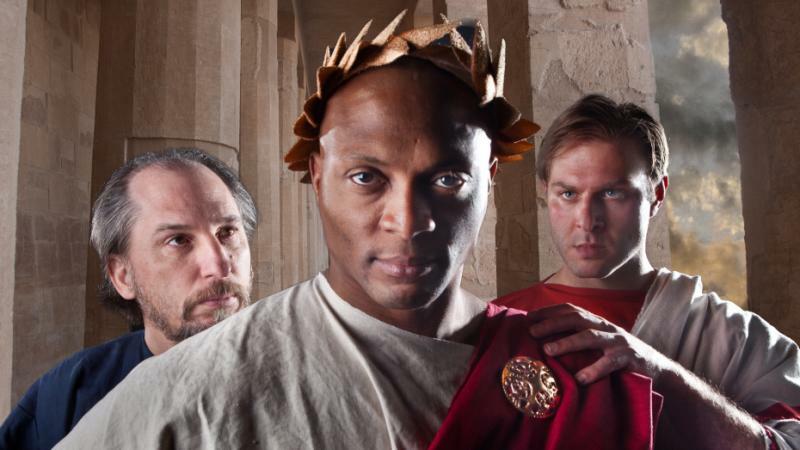 Showbiz might seem like a natural path for guys with big egos and million-watt personalities, but Eddie George is a former NFL player who's taken a different path to the limelight. He's joining a fraternity of actors that includes Charlton Heston in playing William Shakespeare's Julius Caesar. The scene where Marcus Brutus kills Caesar is probably the most famous death scene in all of theater. It's where those famous words, "Et tu, Brute?" are uttered.